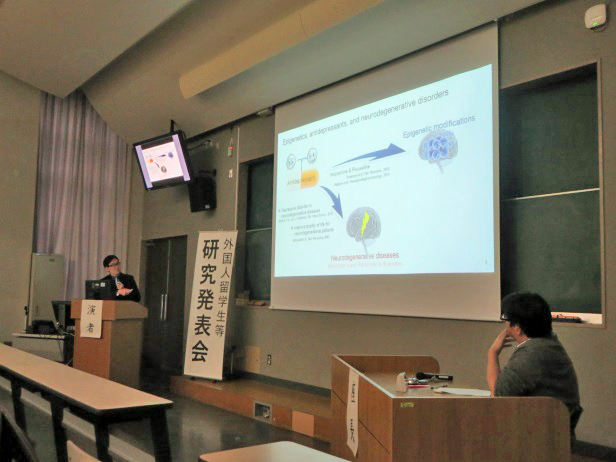 On March 8, 2018, the 23rd International Student Research Presentation Meeting was held at the Medical Campus, the University of Yamanashi (UY). The meeting is held every year to encourage motivation of foreign students for research and promote making outstanding research achievements. 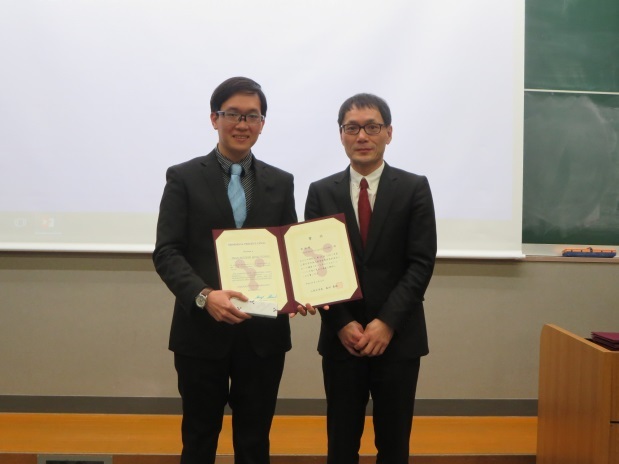 The meeting began with opening speech by Prof. Tetsuo Hori (Executive Director and Vice President, UY), and 7 participants from the fields of medicine and engineering made presentation on their research topics. During the questions and answers, there were active discussion between participants from different fields. 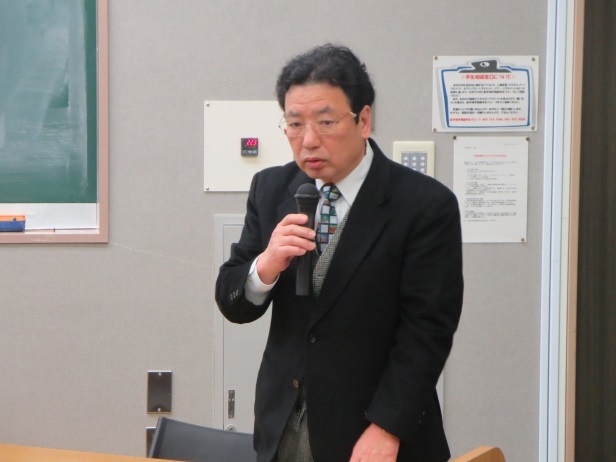 At the end of the meeting, Prof. Atsuhito Nakao (Dean, Faculty of Medicine, UY) presented an encouragement award to each participant in anticipation of further promotion of research.